Country music signer-songwriter Brad Paisley is a member of Hiram Lodge 7 in Franklin, Tennessee. He's also a Scottish Rite Mason and a Shriner. 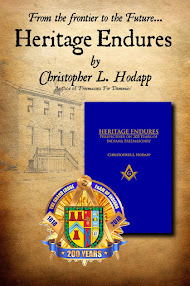 In this video, he speaks about Masonry and the importance of tolerance. This clip was actually posted online over a year ago, but I forgot to hit the send button on it back then. Someone over on Reddit reminded me about it today, so here it is. 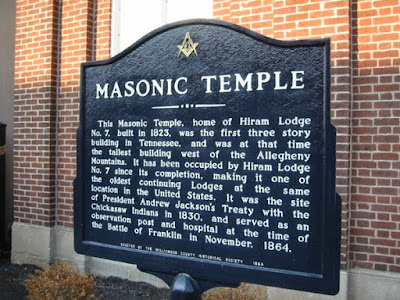 He's also done promotional work for the Shrine and DeMolay. Joining Brad for this ceremony was his father Doug Paisley, 32°, who works with Brad on his tours as man- ager and bus driver. Sovereign Grand Commander Seale, with help from Inspectors General Hoyt Samples, 33°, of Tennessee, C.B. Hall, 33°, of West Virginia, and Hans Wilhelmsen, 33°, of Maryland, presided over the event. In addition to Paisley and Marcy joining the Scottish Rite, country music legend “Little Jimmie” Dickens was honored. He is known for his work on the TV show Hee Haw and on stage at the Grand Ole Opry. Unfortunately for the proliferation of Internet errors, there are dozens of web links mis-numbering Paisley's Mother lodge as #4 and even #107. Hiram Lodge 7 is noteworthy on its own, even without the worldwide fame of Brother Brad. Originally built in 1823, it was the tallest building west of the Allegheny Mountains. 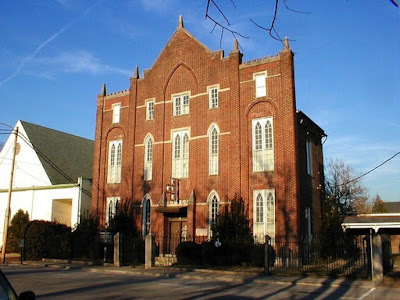 Their building is the only known meeting site between a sitting President and representatives of a Native American Nation, when President Andrew Jackson met with a delegation from the Chickasaw Indians to sign a treaty in 1826. It's listed on the National Registry of Historic Places. 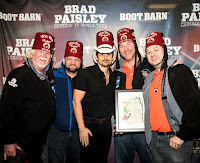 If anyone knows just when Brad Paisley became a Master Mason there, I'll be happy to update this post. Attend the 200th communication of the Grand Lodge of Tennessee a very good friend of mine also a member of Hiram Lodge 7 gave us a tour of the lodge and then several months later a singed copy of the latest issue of the History of Hiram Lodge 7 This2was a very special day and one not soon forgotten. BR LARRY WHITE SW Holbrook Lodge 30 Forest Grove, OR, 32deg. Scottish Rite and PGRP Order of the AMARANTH. Brad Paisley is not a Senior DeMolay. 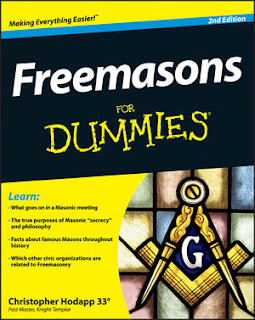 He did do a promotional spot for DeMolay, but was never a member. I met my husband, whom I've been w/for 26 years & coming up on 20 years of marriage, through Job's Daughters & DeMolay. I was Honored Queen #56, Huntington Beach, CA, & became the HB Chapter of DeMolay's Princess, then Sweetheart back in the late 1990's. It has formed our union & forever made us grateful that we found each other through such a fantastic set of youth based groups through Masonry. But Brad is not tolerant, he can't even accept his fairly ELECTED President.